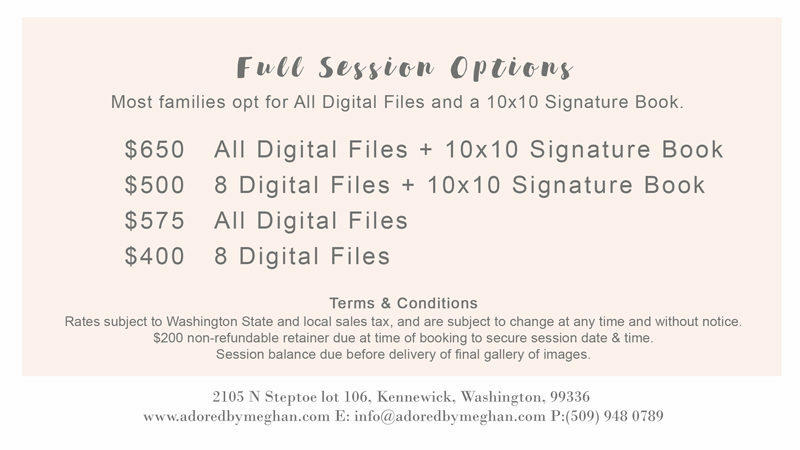 Information on investing in a session with Adored by Meghan. Clients who book with Adored by Meghan are looking for beautiful portraits of their family. They want digital files, prints for their home, and handcrafted albums to cherish for generations. 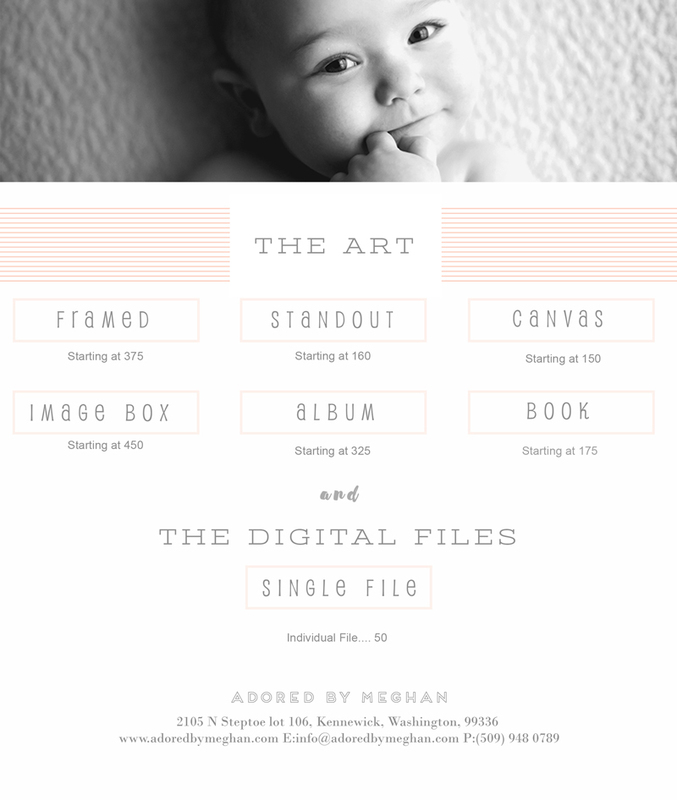 Adored by Meghan’s clients care about Meghan’s connection with their family, the quality of the final images, and that it all fits within their budget. As an artisan as well as a photographer, Meghan strives to offer the very best in product quality. Many of Adored by Meghan’s items are hand-made, shipped directly to her for final inspection before presenting you with your heirloom masterpiece. Albums, prints, and canvases are archival quality to ensure that your custom-made art piece will last for decades. Full pricing information is available upon request.